Chinese researchers have found that perovskite solar cells can retain most of their power conversion efficiency in near space, providing perspectives on the new solar cells' future application in space. In recent years, perovskite solar cells (PSCs) are of huge interest to the academic community and the photovoltaics industry due to their potential of achieving higher efficiency and low production costs compared to traditional silicon solar cells. According to researchers from China's Peking University, Academy of Opto-electronics, Chinese Academy of Sciences and Northwestern Polytechnical University, PSCs have great potential for developing the new-generation energy technology for space application, but little research has been done to test the stability of PSCs in the extreme space environment. The Chinese researchers sent the devices fixed with PSCs into near space on a high-altitude balloon in China's Inner Mongolia region. 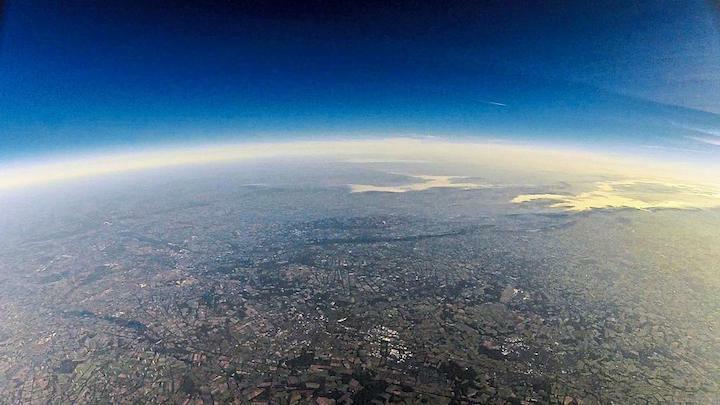 The balloon rose to near space at an altitude of 35 km, a region above Earth's atmosphere where there is only a trace amount of moisture and ozone. The region, considered to have "air mass zero," contains no atmospheric attenuation of solar radiation and therefore several high-energy particles and radiation, such as neutrons, electrons and gamma rays originating from the galactic cosmic rays and solar flares. According to the findings, one type of perovskite solar cells used in the study retained more than 95 percent of its initial power conversion efficiency during the test, the researchers reported on Science China Physics, Mechanics & Astronomy. They said the study is expected to play a crucial role in the future stability research of perovskite solar cells, hoping they can push forward the application of PSCs in space. A perovskite is a type of mineral that was first found in the Ural Mountains and named after Lev Perovski, founder of the Russian Geographical Society. It is composed of calcium, titanium and oxygen. Over the past few years, the improvements of perovskite formulations and fabrication routines have led to significant increases in power conversion efficiency, exceeding the maximum efficiency achieved in some silicon solar cells.